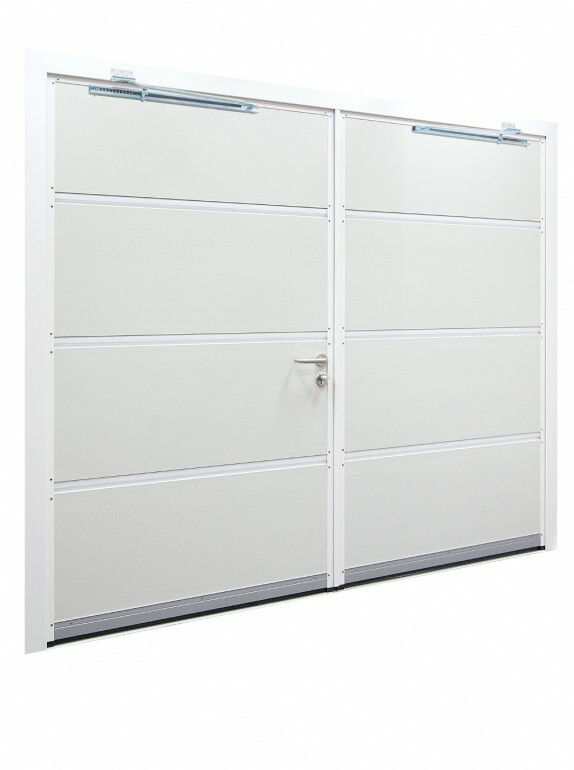 Carteck Ribbed Vertical is the ideal garage door if you use the garage as a workshop or playroom. 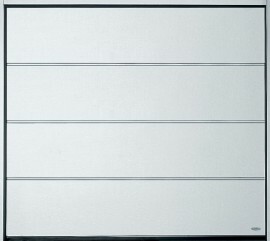 Carteck Ribbed Vertical garage doors are made from 40mm thick insulated panels. They are strong, robust and secure. Our doors are fitted with high quality stainless steel handles and lock covers, which are tough yet stylish, whilst trusted security is provided through the latch and dead bolt combination. 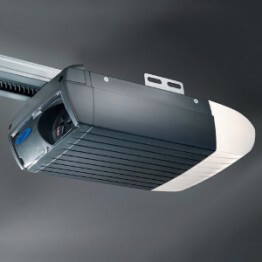 You can talk to us if you have a specific hardware requirement – as alternative designs can often be accommodated. 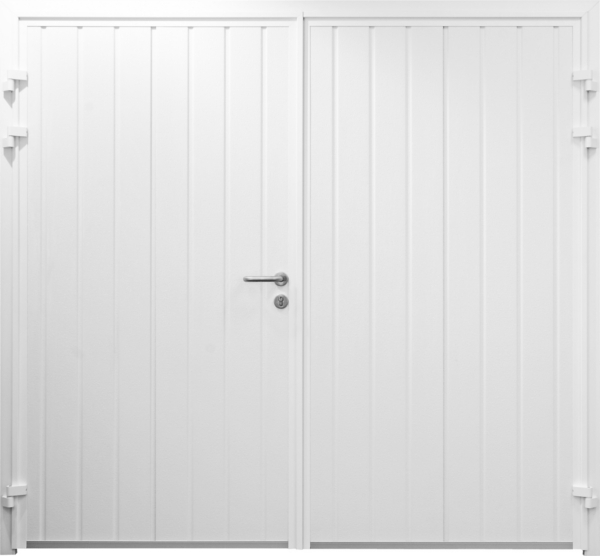 The door leaves are hung on a sturdy aluminium block frame and come with door stays as standard. The inactive leaf is secured with flush bolts top and bottom whilst the active leaf has a double throw dead bolt and soft latch. Our top grade spring dampened stays hold the door securely in the open position, and a simple de-latch motion releases the held door leaf. 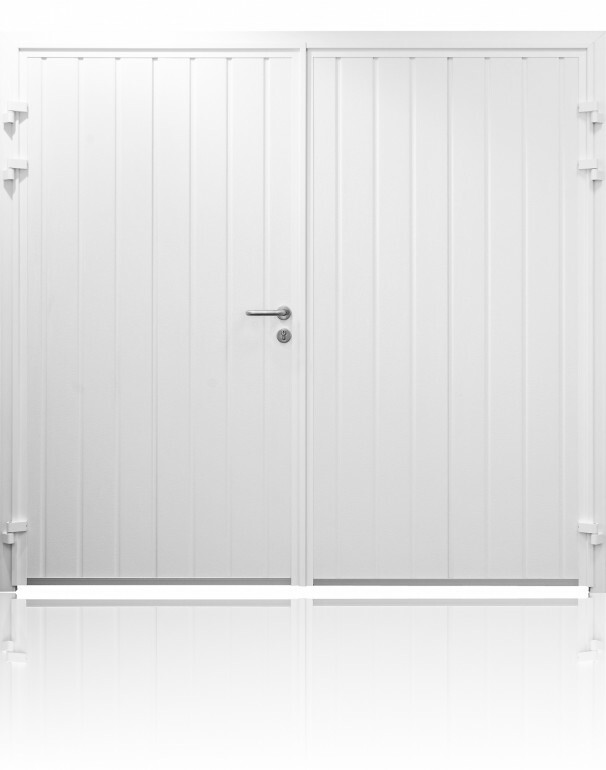 All Carteck Ribbed Vertical doors come as standard in white, with a range of basic colours to choose from. However, any RAL colour is possible, and we can colour match from samples if none of these are right for you. Each door is available in a choice of our wood effect laminate finishes; with four surface finishes also available. The inside the door is a flush wipe clean surface. To improve the weather protection of our Carteck Ribbed Vertical garage doors, a stepped aluminium threshold with a bulb weather strip is available as an optional extra. 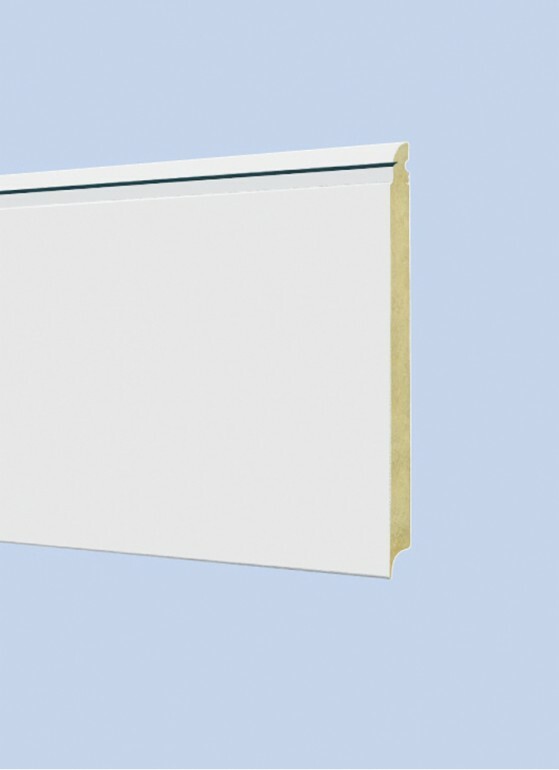 For a stronger barrier against dust and debris, the door leaves close against the raised weather strip. The threshold also includes a thermal break reducing heat transfer. Changing the garage door can make a huge impact on the look of your property. So before you buy why not come and see how great the quality of Carteck side hinged doors are at our garage door showroom? 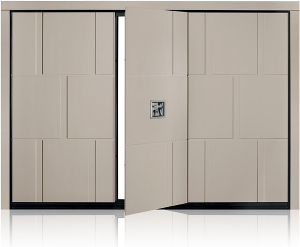 All doors have a 2 year guarantee against mechanical defects and a 10 year guarantee against perforation of the door panel.